Mid Week Eats is back for 2018 and bigger and better than ever! Featuring food trucks from across Perth in 8 themes across 8 weeks. Themes include Backyard BBQ, Caribbean Fiesta, Asian Fusion, Mediterranean Magic and Naturally Good! 'Kid's Village' complete with cubby, mud kitchen and farmers market plus teepee land for the really little ones! An immersive exploration of the imagination. Stay tuned to our Facebook Page for updates on Food Vendors and Performers for each week. Free parking is available at the Leisureplex, however we encourage you to park at Riverton Forum and walk over, save the bays for our Leisureplex go-oers. Dogs are permitted but should remain on a leash, particularly around the food vendors. Feel free to bring your own picnic rug and chairs. Food trucks, live music and entertainment for the whole family! Start your engines! A brand new event to tingle your tastebuds this Summer. 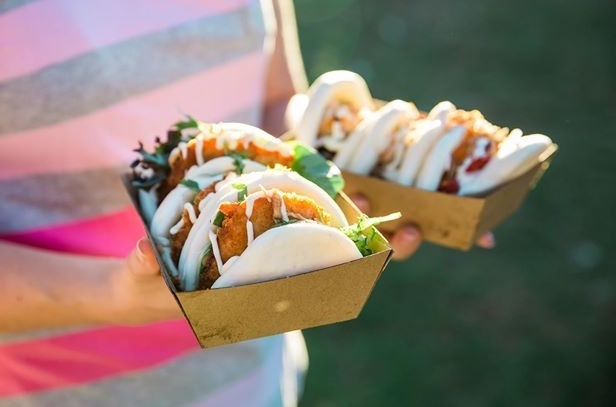 Cuisines from Vietnam, India, Thailand & Japan roll into Riverton Reserve for a fusion of Asian street food favourites. This five week trial will see a range of mouth-watering delights hit the streets not only to feed hungry tummies but also promote cultural diversity through food and live music.